Barbara Kent was the last of the silent personalities that I had the pleasure of interviewing. I thought she might the final one, because there was pratically no one else living that I hadn’t already spoken with. My favorite Barbara Kent photograph. Since Barbara never talked to anyone about her career, I had little faith that she would talk to me. She did! It turned out to be her only extensive interview after her career ended in the 1930s. Barbara was very generous with her time and photographs. I wrote extensively about Barbara and our interview in my book, The Sound of Silence, but I wanted to share some details with you around the interview and some of her memorable quotes. Next month will mark the one year anniversary of Barbara’s death at 103. Here is her obituary. I had intended to publish this entry in mid-October, but, alas, this time next month, I will be bound for Morocco (not Bound in Morocco, as in the silent film) for a long, much needed excursion. As it turns out, sharing this information with you today is perfect. Last week, The New York Times had an article about the release of one of Barbara’s finest films, Lonesome. Check it out. It’s one my Christmas wishlist. With Glenn Tryon in Lonesome. I contacted Barbara Kent by mail at her home in Palm Desert in 1996. 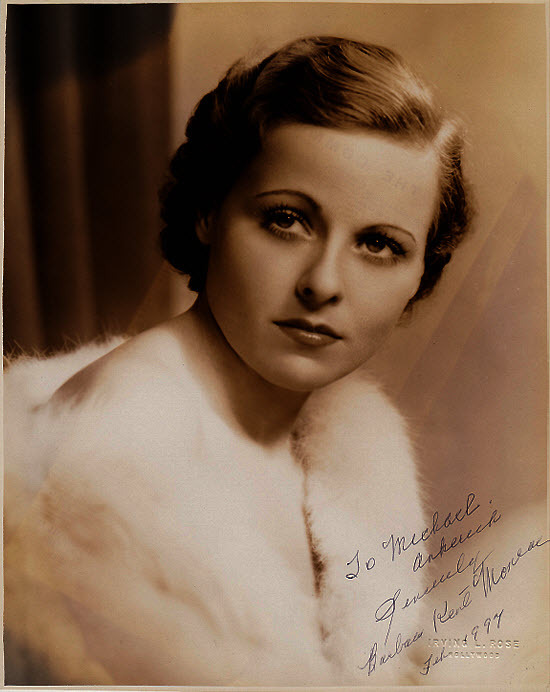 I was doing some research on her film with Marie Dressler, Emma (1932), and wanted to ask the former actress what memories she had about the film. I told her that I would call on such-and-such a day and time. I made it a practice to never call anyone without first testing the waters. (Well, Billie Dove was an exception, but that’s another story). On the appointed day, I rang the number. Barbara’s husband, Jack, answered the phone. Barbara was expecting my call, he said, but she was out on the greens playing a round of golf. I was to call back later in the evening and she would be happy to chat. Before that, however, Jack wanted to tell me about the woman he’d called his wife for over 40 years. Jack didn’t remember Barbara from the movies. He didn’t recall ever seeing her on the silver sheet. In fact, when they met, Barbara wasn’t anxious to talk about those years. Her first husband, Harry Edington, died in 1949. 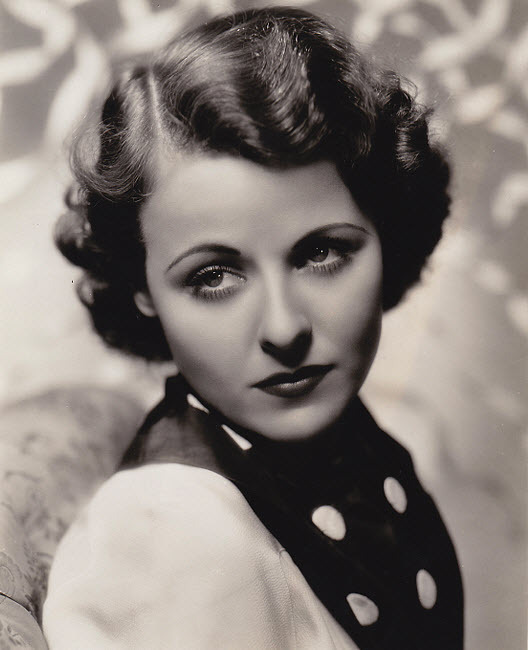 Edington, an agent for such stars as Garbo, John Gilbert, and Marlene Dietrich, was her final connection to Hollywood. She put the movie business behind her and rarely talked about the flickers. “It’s so long ago. You forget all those things when you’re not with picture people any more, and I haven’t been with them in ages,” Barbara explained to me early in our conversation. Barbara Cloutman had her parents to thank for getting her into the movies. They’d moved to Hollywood from a small town in Canada when Barbara was a teenager. Part of the responsibility of winning the contest was modeling a piece of jewelry for a Hollywood department store. Agent Paul Kohner introduced himself and invited her to Universal for a screen test. The rest, as they say, is history. 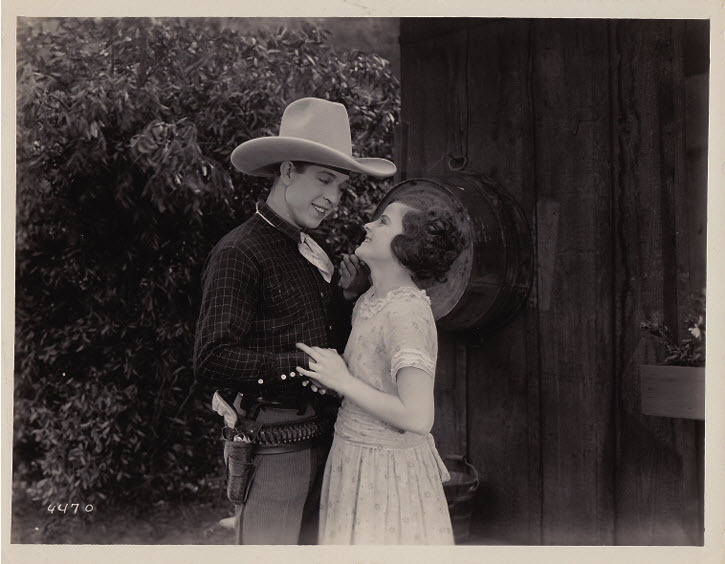 Her first film was Prowlers of the Night (1926), a Western with Fred Humes. Barbara Kent in her first film, Prowlers of the Night, with Fred Humes. Then she was loaned to MGM, where director Clarence Brown cast her as Hertha in Flesh and the Devil (1927). The film became a personal favorite. 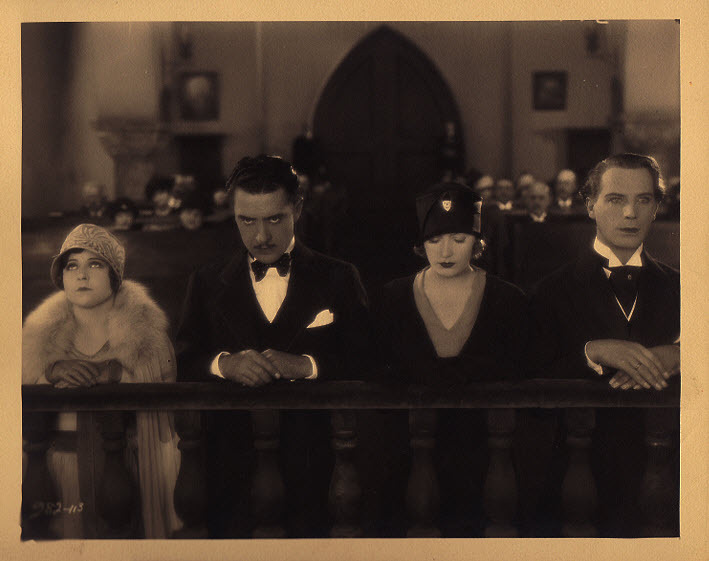 Barbara, John Gilbert, Greta Garbo, and Lars Hanson in Flesh and the Devil. The cast of Flesh and the Devil. 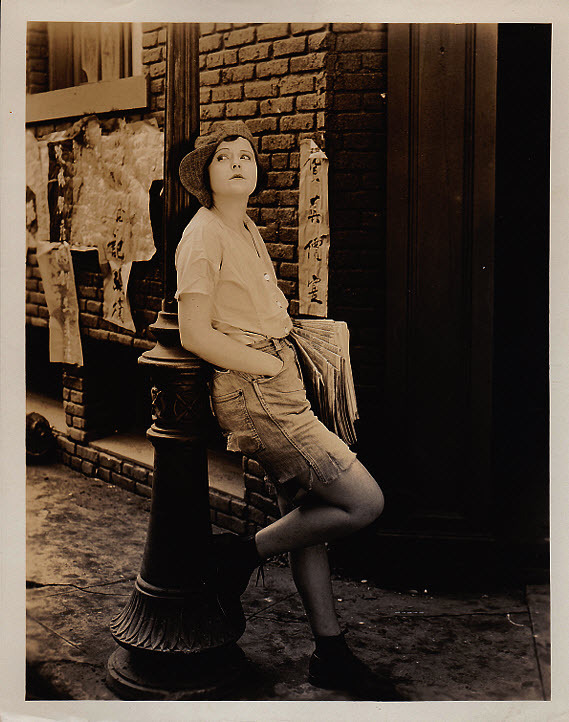 Her other two favorite films were comedies with Harold Lloyd: Welcome Danger (1929) and Feet First (1930). They met at a party after Christmas in 1928. 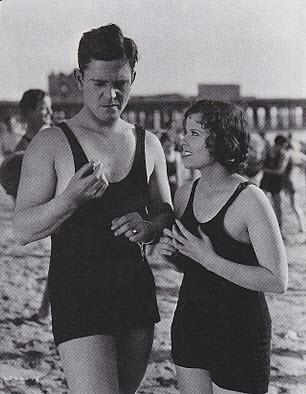 With Harold Lloyd in Welcome Danger (1929). “I remember him standing up beside me,” Barbara recalled. “I didn’t know why. Afterwards, I realized he was sizing me up to see how tall I was, because he wasn’t a very tall men himself. I’m only 5′ 2”. 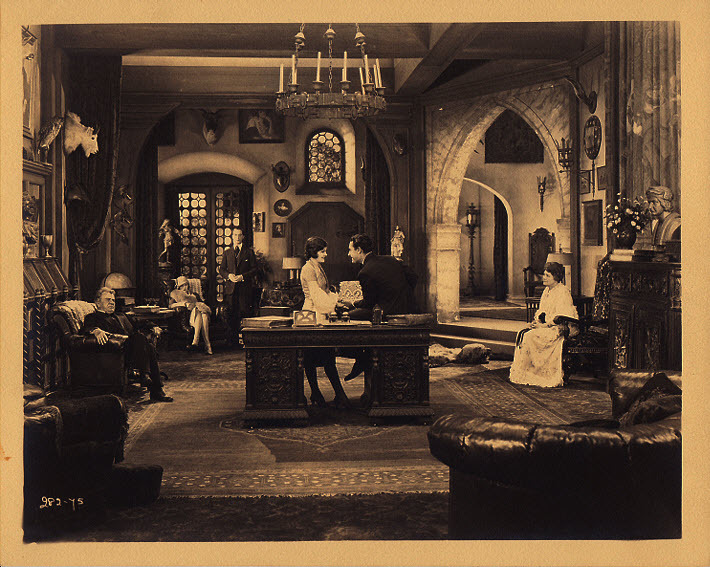 Welcome Danger was shot as a silent film when talkies were revolutionizing the industry. Fearing it would be a box office failure, Lloyd had the cast dub dialogue straight into the film. Another scene from Welcome Danger. “Lloyd was very easy going, and as an independent producer, if something went wrong, we just did it over and over until we got it right,” she said. Freelancing, Barbara found herself working in low-budget films on Poverty Row. After she met and married Harry Edington, Barbara worked in a handful of other films. She called it quits in 1941 after her work in Under Age. Barbara Kent was a patient interview subject, but about 30 minutes into our second conversation, she called a halt to further reminiscing that day. “Please excuse me, but I really have to go.” She was late for a hair appointment, after which she was meeting friends for dinner at the country club. They were friends who never knew she once had a career in Hollywood. When I asked about photographs, Barbara said she had boxes of stills out in the garage. “I’ll make it a point to get out there and dig some out for you.” She did! I’m sharing many of these in this blog. They are from her personal collection. I’ve included the highlights of my conversation with Barbara Kent in this entry. To read the full story, including her memories of working with Gloria Swanson in Indiscreet, check out The Sound of Silence. 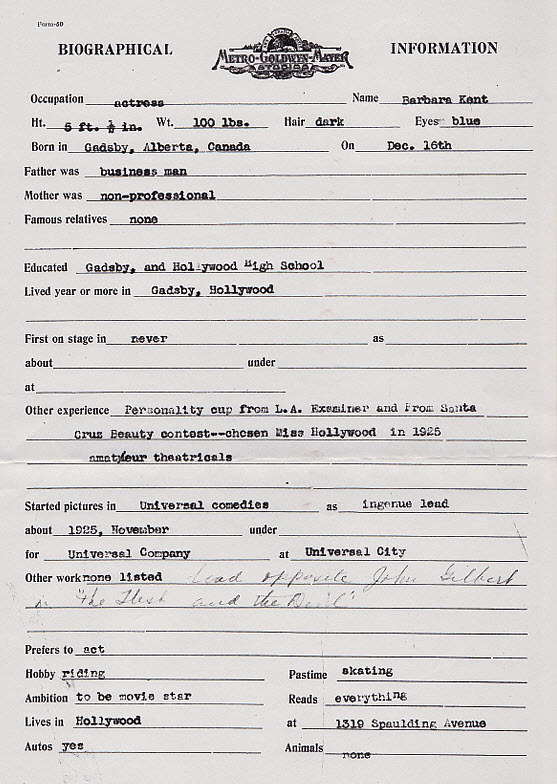 Barbara Kent’s biographical sheet at MGM. HOLLYWOOD – July 16, 2012 – Film fans, archivists, and researchers from around the world will gather in Hollywood, California, to attend the 48th annual Cinecon Classic Film Festival this Labor Day Weekend, Aug. 30 through Sept. 3, 2012. Among this year’s Cinecon honorees are Phyllis Coates, best-remembered as Lois Lane in the first season of TV’s Adventures of Superman and as Alice McDoakes in the long-running Joe McDoakes theatrical shorts; and Carleton Carpenter, who sang “Aba Daba Honeymoon” with Debbie Reynolds in Two Weeks With Love and went on to star in such films as The Whistle at Eaton Falls and Sky Full of Moon. Also being honored is director Richard L. Bare, who helmed the Joe McDoakes comedies and brought a zany touch to TV’s Green Acres. Cinecon will also feature a movie memorabilia show at Loews Hollywood Hotel (formerly the Renaissance Hollywood Hotel) located at 1755 North Highland Avenue in Hollywood, near the Egyptian Theater. Attendees may purchase rare movie stills, posters, lobby cards and other film-related collectibles. Among the films being scheduled for Cinecon 48 is director John Ford’s previously “lost” silent gem Upstream (1927), one of a number of American silent films repatriated from New Zealand by the National Film Preservation Foundation, and preserved through a collaboration of Twentieth Century Fox and the Academy of Motion Picture Arts and Sciences. Other silent films slated for viewing include Clarence Brown’s The Goose Woman (1925); Ladies Night in a Turkish Bath (1928) starring pre-code favorite Dorothy Mackaill; the sly romantic comedy Blonde or Brunette (1927) with Hollywood’s best-dressed man, Adolphe Menjou; Sensation Seekers (1927) directed by Lois Weber, one Hollywood’s few women directors in the silent era; Harold Lloyd’s classic comedy Hot Water (1924); The Circus Man (1914) one of the earliest surviving films from the Jesse L. Lasky Feature Play Company—the forerunner to Paramount Pictures; and famed cowboy star William S. Hart’s screen bio of Wild Bill Hickok (1923). Silent films will be shown with live musical accompaniment. This year’s stellar line-up of early sound films encompasses such diverse titles as She Wanted a Millionaire (1932) starring a young Spencer Tracy; Hello, Everybody! 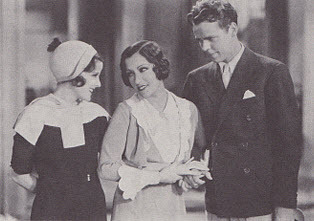 (1933) which features the only starring role of radio’s “Songbird of the South,” Kate Smith; Love Under Fire (1937) starring Don Ameche and Loretta Young in a story set against the backdrop of the Spanish Civil War; Dangerous to Know (1938) starring Chinese-American performer Anna May Wong; Always a Bridesmaid (1943), a swing-era musical outing starring the Andrews Sisters; and Way Out West (1937) with beloved screen comedy team Stan Laurel & Oliver Hardy. A highlight of the festival will be a screening of Gentle Julia (1936), based on a novel by Pulitzer Prize winner, Booth Tarkington. Two of the film’s stars, Marsha Hunt and Jane Withers, are scheduled to attend this screening, 76 years after its original release. Special programs will include the world premiere screenings of Palace of Silents, chronicling the fabled history of the Silent Movie Theater in Los Angeles, and Looking for Mabel focusing on the scandal–ridden life of silent screen legend Mabel Normand. A third documentary, Peter Ford: A Little Prince, a personal journey about growing up in Hollywood as the son of superstars Glenn Ford and Eleanor Powell, will also be screened. Cinecon is a non-profit film festival. Loews Hollywood Hotel (formerly the Renaissance Hollywood Hotel) located at 1755 North Highland Avenue, Hollywood, CA 90028. Cinecon president and film historian, Robert S. Birchard, is available for interviews. 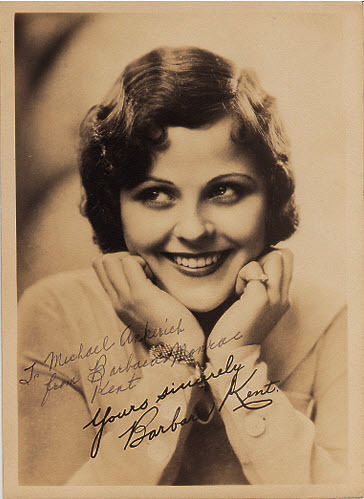 Birchard is the author of Cecil B. DeMille’s Hollywood, and has appeared in such movie-related documentaries as TCM’s Moguls and Movie Stars. Photos will be available to the media upon request.